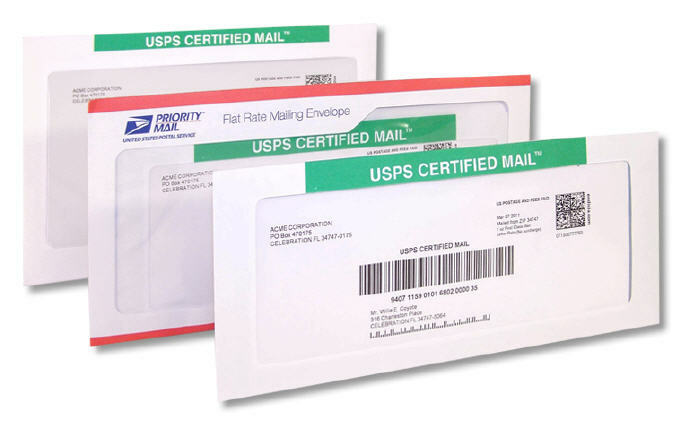 Save $390.00 by doubling your order! 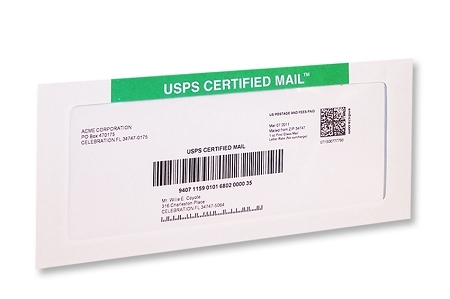 Get started with Certified Mail Envelopes and save up to $2.00 per mailing! 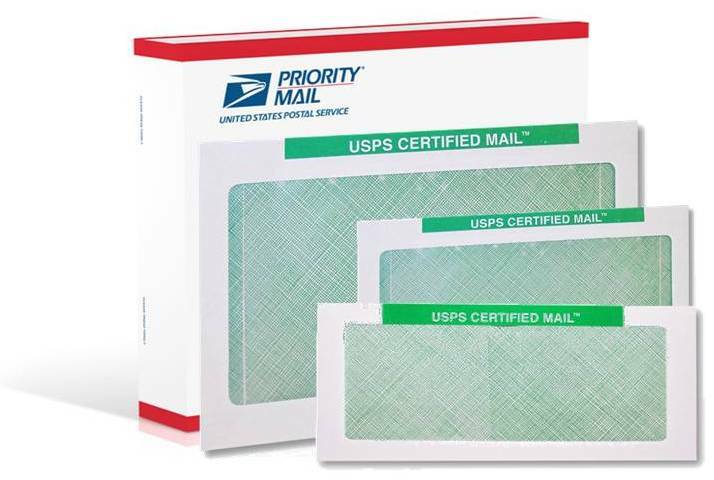 Starter kit includes: 80 #10 Certified Mail Envelopes, 10 6x9 Certified Mail Envelopes, and 10 9x12 Certified Mail Envelopes. 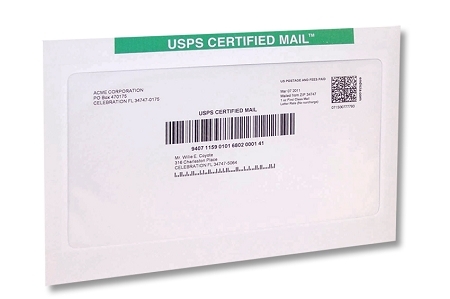 By using Certified Mail Labels.com, you can save up to $2.00 on each mailing by using Electronic Delivery Confirmation (EDC) instead of the old-fashioned Return Receipt green card. Double your savings by doubling your starter kit for only $15.00!